Our family had a great time visiting Taipei, Taiwan. We spent 5 days in Taipei eating, exploring and visiting family. We stayed in the luxury suites of the Taipei Fullerton Hotel East. I paid for $329.75 for the hotel stay with my Chase Sapphire Reserve credit card. Since I had $274.30 remaining of my annual $300 Chase Travel credit, the net cost of our hotel stay was only $55.45 (329.75 – 274.30)! 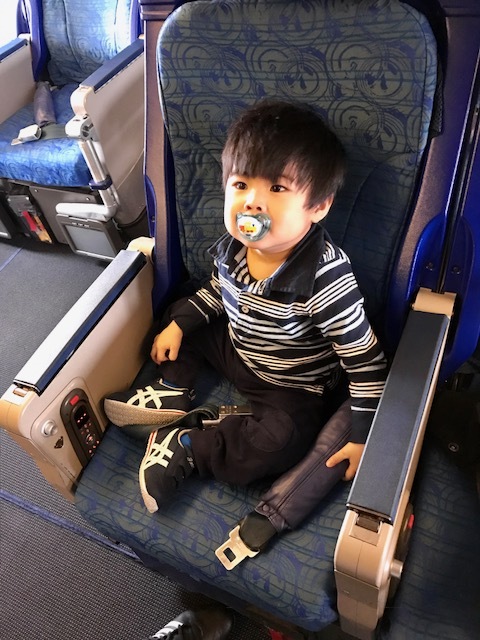 For our flight back to Los Angeles, we flew Singapore Airlines Business Class. 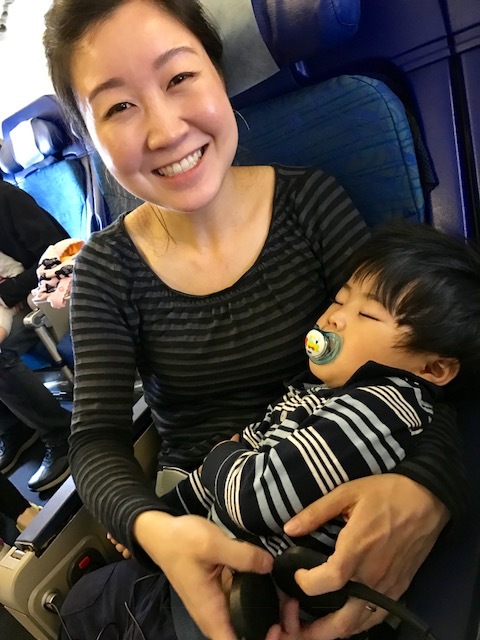 Since we could only book Business Class flights from Tokyo to Los Angeles (and not from Taipei), I arranged for us to first fly free from Taipei to Tokyo on Cathay Pacific and then depart from Tokyo to Los Angeles on Singapore Airlines the next day. This gave us one night to spend in Narita, Japan. We grabbed free breakfast at our hotel before checking out and heading to the Taiwan Taoyuan International Airport (TPE). Our Chase Sapphire Reserve credit cards provide us with Priority Pass airport lounge access. We like to get to airports extra early so that we can enjoy our time relaxing in the lounges prior to our flights. After checking in our luggage, we headed to the Plaza Premium Lounge at the Taipei airport. The Plaza Premium Lounge was extremely clean and quiet. There are small enclosed booths for people to get private work done. There are also large open tables for big groups of people to relax and eat. High speed WiFi is provided for all lounge guests. We found a peaceful spot in the corner where we could set our carry on luggage down and enjoy some snacks and a light meal. 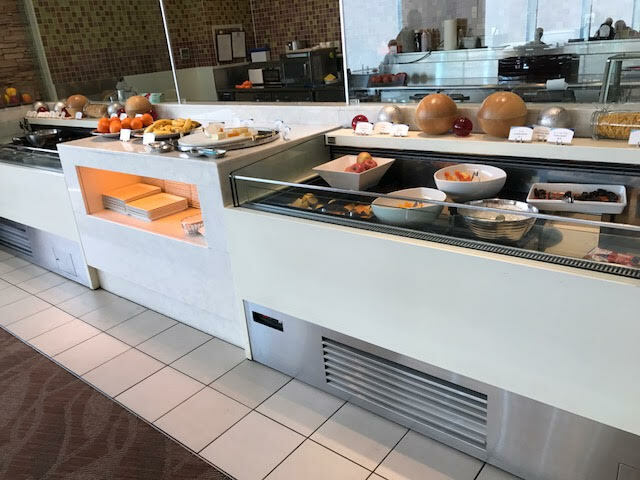 Like most airport lounges, there are plenty of self-serve food and drink options. I made myself a latte from the espresso machine. This lounge also offered freshly made to order meals, which we really took advantage of. I enjoyed the marinated ground pork with rice so much that I ordered it twice. My wife enjoyed the vegetable soup with noodle. Our short 3.5-hour flight from Taipei to Tokyo on Cathay Pacific cost us 21,000 British Airways Avios and $33. This was an excellent redemption of miles transferred from our Chase Ultimate Rewards points. We snagged the bulkhead seats behind Business Class, which offered plenty of legroom to stretch out. While our son took his afternoon nap, we got to watch some in flight movies. We were served curry chicken for lunch. I’m glad we ate in the airport lounge because the airplane economy food wasn’t anything to brag about. Thanks to Barclaycard Arrival Plus miles, we were able to stay for one night at the Hilton Tokyo Narita Airport Hotel for free. I redeemed 11,999 miles for a $119.99 statement credit. Once we landed in Tokyo, we gathered our luggage and headed to the hotel bus stop area. The hotel offers a free shuttle that picks up passengers every 20 minutes. The Hilton Tokyo Narita Airport hotel was about a 15-minute ride from the airport. Check in was a breeze and thanks to my Hilton Gold status (complimentary from my previous AMEX Platinum card), we got hooked up with: upgraded room, free premium Wifi access, 2 free breakfast coupons at the Terrace Restaurant, and 2 free drink coupons at the Terrace Bar. The hotel is shaped like a large C, with very high ceilings in the lobby, as well as a garden and waterfall in the middle. The room was nice and spacious. Hilton provided us with a crib for our son to sleep in. The bathroom was large and nice. After getting settled in, we were too tired to leave the hotel to get food. Inside the Hilton hotel, we were craving some Japanese food so we went to the Matsukaze Japanese Restaurant. I ordered the all you can eat Japanese hot pot and my wife ordered the Japanese beef dish. We were served freshly prepared sushi. The food was good but quite expensive at $95 for the three of us. Ouch. It was nice to spend this last night relaxing and not doing any touristy activities. After dinner we let our son run around the hotel grounds. Here is our son checking out the wall of ramen noodles in the hotel convenience store. We slept very well in the comfortable and firm queen bed. In the morning, we grabbed free breakfast at the Terrace Restaurant (courtesy of having Hilton Gold status). The breakfast buffet offered plenty of bread options, drink options, and American and Japanese cuisine. We had a few hours to kill prior to our flight and so we headed out to the AEON mall in Narita. 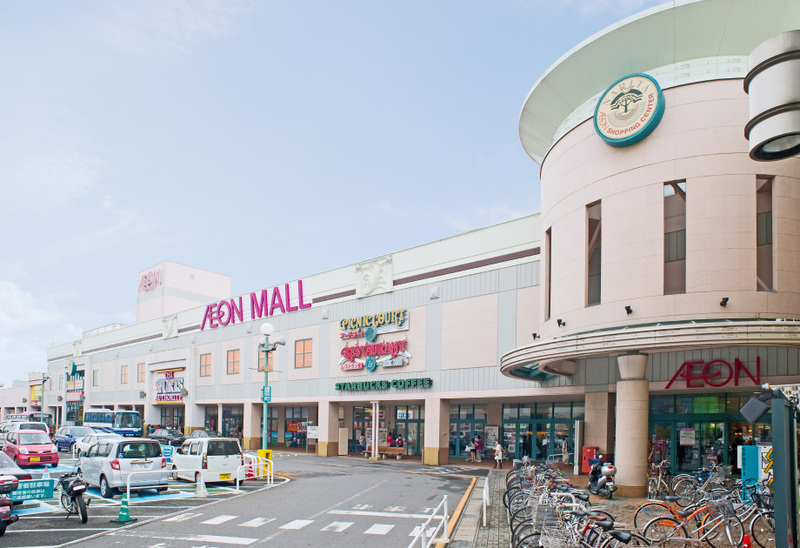 The AEON mall has plenty of shops, restaurants, an arcade and a supermarket. You can easily spend several hours here shopping, playing and eating. Our son enjoyed running around and exploring. There are several kid friendly play areas throughout the mall. He especially loved crawling around and playing with the soft building blocks. The Hilton offers a free shuttle service to and from the mall. When we got back to our hotel, we gathered our items and then took the free shuttle back to the Tokyo Narita airport. Our vacation was just about over and we were ready to fly home!